The present Jewish Community was established in 1999 and, although relatively small in membership, it is a growing community that with a growing membership in Cornwall has come the need to locate suitable sites for burial and/or cremations. Through the persistent efforts of our vice chair, Mrs Bonnie Rockley, we have been allocated several special areas, specifically for Jewish burials, within municipal cemeteries. Penmount Crematorium near Truro where a non-denominational facility is available. There is also a small crematorium that has been made available on the outskirts of Camborne as well as a larger facility at Glynn Vally, Bodmin. There is the option of a woodland burial available at Penmount. There will be a Jewish Book of Remembrance where there will be written on a separate page for each burial the words that normally go on the headstone. Small plaques for a short message on the back of a bench nearby in the burial ground will be available. At time of burial it required to call the Cremation Office on 01872 272871 either by the funeral director or whoever is arranging the funeral to say it is a Jewish burial. Adjacent graves can be specified. Click here for burial fees at the Widflower Burial Ground. A small number of Jewish funerals have taken place in Cornwall over the last 10 years not all of which have been for members of Kehillat Kernow. We have no regular minister to perform these funerals but they have been respectfully and dutifully conducted by Mr David Hampshire and Mr Harvey Kurzfield. Mr. Hampshire was the Advisor in Cornwall for Religious Education and Mr Kurzfield is the current Chairman of Kehillat Kernow. 2015 update: Mr Kurzfield is currently the only member available for conducting appropriate Jewish funeral services. Cornwall County Council issues charges for all the cemeteries under its control. These are updated each year. More details about the various options available can be found on Cornwall County Council’s website. There are also additional charges for a deeper burial site, for monument permits and for burials outside normal operating hours. 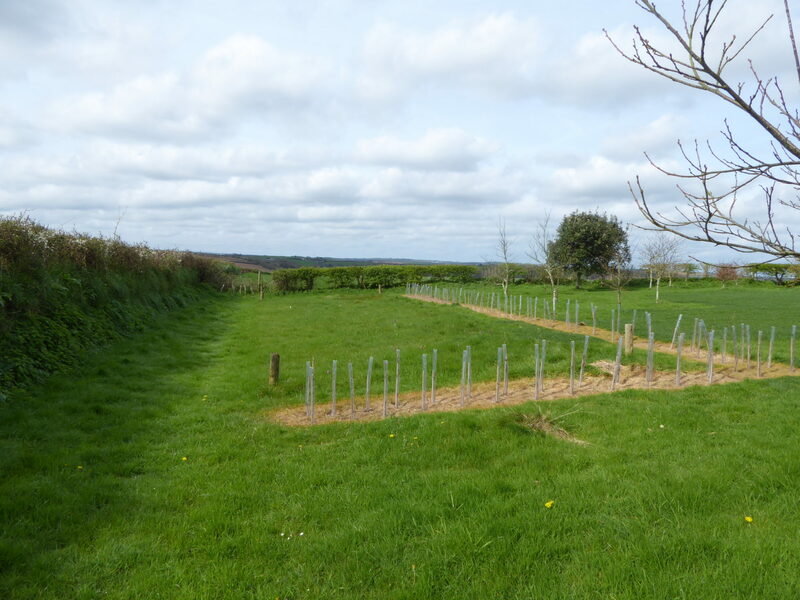 Plots at all sites in Cornwall can be pre-purchased. Funeral Directors will incorporate all the charges into their overall fees. There will also be additional charges later for the erection of suitable headstones and the costs take into account the materials used and the number of words required. All memorial headstones in Cornwall are now subject to height and width restrictions. Individual funeral directors in Cornwall will conduct Jewish burials and will treat all those being buried or cremated with appropriate respect. The Reform Movement has issued a booklet by Joyce Rose entitled ‘When Someone Dies’ – A Guide to the Basic Essentials- Funeral Arrangements and Mourning Customs’. There is also Reform Movement Booklet on Cremation by Rabbi Walter Rothschild. These booklet will be distributed amongst a number of funeral directors in Cornwall. The first Funeral Director to visit Mr Kurzfield was from Ken Newcombe’s Funeral Home at Holmbush, St Austell, part of the Dignity Group. Mr Jones, the Funeral Manager, was at pains to make sure that Jewish burials would be performed with appropriate care and attention and he was given these booklets. As time progresses other funeral directors will become more familiar with Jewish burial procedures. Here is a link for the full set of current charges as laid down by Cornwall County Council for burials in their cemeteries. In due course we will have a list of funeral directors who have received the Jewish Burial booklets and an additional list of monumental masons. Recently I have officiated at a funeral which was held in Fairpark Cemetery in Newquay. The funeral director was A. Richards (Newquay) and appropriate booklets were sent to that establishment. The funeral arrangements were conducted as per our requests and in line with Jewish customs.